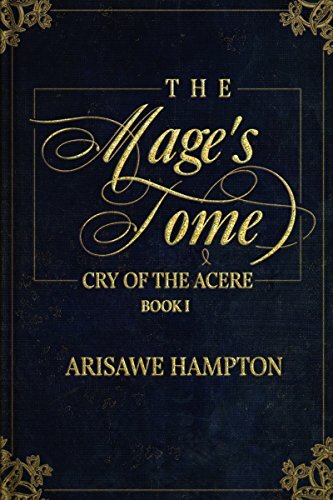 The Mage’s Tome is a genre-crossing novel with elements of a fantasy, romance, and paranormal as well. Did you start writing with this in mind, or did this happen organically as you were writing? About ten years ago I became interested in possibly writing a fantasy novel of my own. After several years of planning the breadth of storylines and plot, and quite a few inspirational reads, a few truly unique characters literally popped into my head while I was on a camping trip with my friends. After that, I had no choice but to write my series. It just happens that The Mage’s Tome, my debut novel, has quite a few quirky characters that grow during the span of the duology. They all hold a soft-spot in my heart, but I’m particularly fond of my main hero, Pyrus. He’s rather lovable. even though I’m sure he’d disagree. I felt that the backstory of the world goes deeper than most fantasy novels. What was the inspiration for the world your characters inhabit? I did spend a great deal of effort building out the world in The Cry of the Acere duology. On one hand, you get that medieval type of feel that is common in fantasy, but I also included some contemporary elements. The quest really takes place in a pre-industrial type fantasy world (think Wheel of Time), and my characters speak like they’re from our time-period. Our modern-day language and slang create some pretty funny situations for Pyrus. Oftentimes, saying something as simple as “what’s up?” brings about some very affable responses for him. This is book one in the Cry of the Acere Duology. What can readers expect in book two? In The Mage Attendant, I begin to reveal a lot more about the direction my characters are headed. Pyrus, certainly has a lot more opportunities for him to show off his self-deprecating, sarcastic sense of humor. It also has some exciting warring that takes place! My readers will also be pleased that it has a rather romantic and happy ending that they might not expect! The Acere have spoken; the tome must come to the mage. Among the rubicund grasslands to the forests of Roan, a quest begins at the onset of royal betrayal. The fate of Roan rests on the hermit mage, Pyrus, who has singular powers but is loathe to help. Yet, the susurrus words of the ancient Gods have promised that he will be instrumental to their plans. Their entreaties show him the nature of their magic. He must first avow to create the soldier, and he must also protect the Lady. Meanwhile, seething in the pit, the Hellion will soon emerge. They all will be tested, yet it is Pyrus who holds the key to camaraderie and purpose. Arisawe Hampton takes the reader into the fantastical land of Roan. A land with many modern and typical occurrences but a land so not typical! In the opening chapter we meet the somewhat reluctant hero of our tale, the hermit Pyrus. The gods have spoken, however, and he must enter a quest that will save the land of Roan. Along the way we are introduced to many interesting characters, the soldier with magically produced “amnesia”, Hazel the maid, the spoiled Lady, Leo the wolf-dog, and more! This story is full of adventure, magic, fantasy, and even some romance! The author paints absolutely beautiful scenery with her words. I felt transported to the world of Roan. It is clear that this world is very detailed in her mind. She writes with passion and conviction for her story. Although there were times I wanted the story line to progress more rapidly, I loved how this book flowed. The story archs for these characters were connected very well. Another part of the writing I enjoyed was the world that is created is part reality and part fantasy. For example, we see characters playing a game of poker, but we also see Pyrus communicating with animals. We see Pyrus the “therapist” and Pyrus the mage who can use spells for all sorts of fantastical things! I loved this juxtaposition of modernity with fantasy. The word usage and descriptors are fun to read. I was truly transported into this world. 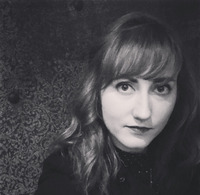 She created realistic dialogue for her characters. There were a lot of scenes that I found humorous. Pyrus’s use of the Asher Zin as Hazel’s fiancé was hilarious. It had me thinking of the movie Overboard, where an amnesiac (although not spell induced!) is lead to believe she is married to someone she is not. I recommend this book to lovers of epic fantasy fiction. The reader will immediately see that they are in good company because Hampton clearly has a passion for fantasy herself. There are moments of levity and moments of intensity that make this story very well-rounded. I’m looking forward to reading more books in this series! Justin Madrid, in Aeon Rises, is a teenager, unhappy with how he is fitting in with his peers. The problem? He is not fitting in with his peers. He is weird and different than most of the other teens around him. He cannot play video games without getting blinding migraines. He also can’t be on anything electronic. He does have one good friend, Kevin. He spends most of his time trying to get his mom to give him a ride to school instead of making him ride the bus. Oh, and he really wants a smartphone so the other kids will stop making fun of him. Sounds pretty typical, right? Well, the book takes a whole other direction almost immediately. 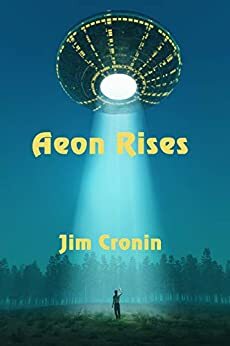 Jim Cronin creates a different, fun world in this engaging book. Justin soon learns that he is not at all who he thought he was. He also learns that all is not as it appears in his small town. For instance, there are aliens running the library (an idea most kids could probably buy). The Skutarans, led by bad guy Keldon Ankara, at the library immediately see Justin as a threat and the adventure begins. Justin’s uncle, Jonah, knows all of the information that has been kept from Justin. He takes over with Justin and opens up a whole new world for him. With all of the new information, it is now up to Justin to save Earth from the Skutarans. I enjoyed this book from the first chapter. I was immediately pulled into the story. The main characters are all teenagers, but I don’t think that affects who would enjoy the book. I think I enjoyed it as much as my teens would. Aliens play a huge part in the book. That aspect of it was very entertaining. I enjoyed reading about earthlings through the eyes of the aliens. It is very well written. Along the way, Justin and his friend Kevin team up with an otherworldly girl named Myah. One of the best parts of the book is the way Justin and Kevin communicate in movie quotes, a fact that drives Myah crazy at first. It all evolves in a fun way though. 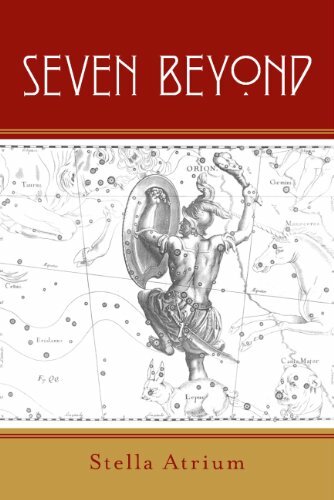 I would recommend this book to anyone, adult or child, science fiction lover or not. It was fast-paced and exciting. Despite it being science fiction, it was written in such a way that it almost seemed believable. I found myself reading it without having to suspend my disbelief. I also found myself thinking that the story would make a great movie. I liked the three young characters in the same way I liked the characters in Harry Potter when I first read that book. I highly recommend it. Travels with the Doggie Lama shows the deep relationship that can develop between a dog and their owner. Why was this an important biography for you to write? Keisha (The Doggie Lama) was my companion through some very important changes in my life (ending a long-term relationship, moving across the country, getting married, having a child, exploring spirituality on a deeper level). In the years after she was gone I would often remark to others that she taught me more about being an energetic being than anything I had formally studied. Her death was both a painful and a mystical experience and I found that when I would talk about her passing with others, it would often spark a long conversation about how difficult losing a pet can be. The loss of a being that holds such unconditional love for us is traumatic and difficult to grieve. “It’s just a dog” some might say, yet if anyone has ever connected deeply with an animal, the loss of that relationship can be incredibly painful. 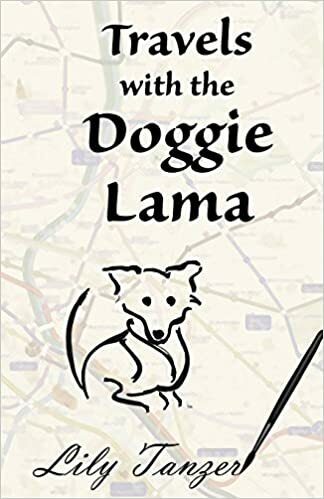 In writing Travels with the Doggie Lama, I wanted to share the sheer entertainment that such a vibrant personality brought to my world but more so the subtle, life-changing connection that healed my heart and instructed, in some unconventional ways, the art of unconditional love. I love the title of this book, how did you settle on the title? Her nickname, “The Doggie Lama,” emerged during my study of yoga, partially as a term of endearment with my husband and I (referencing her constant assistance with meditations in the house) but also spoke to the lessons I was learning from her essence and her connection to Source energy (as any animal will do as they are so closely connected to nature and our true state). She and I physically traveled quite a bit during her life (including several cross-country moves) but we also shared internal travels together: changing and growing through life, exploring the energetic aspect of our existence, and ultimately discovering deep, unconditional love. Memoirs cause one to reflect on their life in different ways. Is there something that you have a different perspective on now that you wrote this book? In writing about the events of those fourteen years with Keisha I came to realize at a deeper level that it’s the everyday events, the small and seemingly mundane exchanges that create the fabric of our lives (not the big, momentous events we often seek out). Everyday life can be funny, exasperating, touching, and boring, but when reviewed through a larger lens, we can see the beauty and meaning behind the totality of those events. While I plan to write a sequel to Travels with the Doggie Lama, I am currently working on a fanciful trilogy showcasing the adventures of one of my current dogs, Darci (a Pekingese/Maltese mix). Her secret life as a WWII tank commander was exposed a few years back and details have emerged about her exploits in the European theater during the dark days of that global conflict. Her military prowess and rivalry with Field Marshall Erwin Rommel, from the sands of North Africa to the beaches of France, are detailed in these photo books. We plan an initial release in late 2018. Life in the middle of a big city can be scary. Lily, a young professional living alone in Houston during the mid-1980s, experiences a frightening brush with a near-home invasion. The disturbing episode is the impetus to seek out a home security system: a dog. 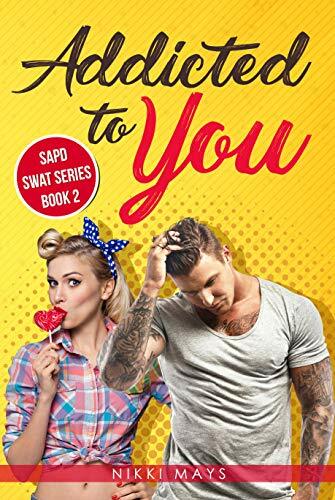 Fear pushes Lily to purchase her new companion without thinking through the details and she finds the new addition to her life just as unsettling. Financial struggles, professional challenges, romantic wounds and the trials of being twenty-something all share the tiny apartment with Lily and her new puppy, Keisha. The carefree, adventure-seeking whims of Keisha are at odds with the order-loving, financially challenged Lily. And yet the irascible dog may be just what the doctor ordered. 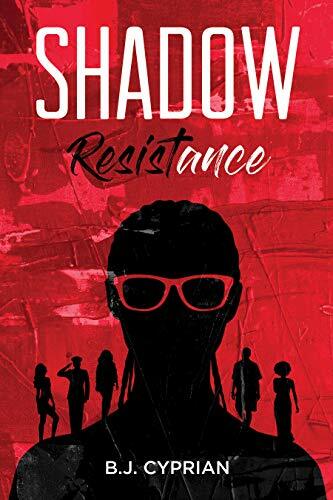 Once Keisha trots across the threshold, where weeks before the faceless intruder had sought to gain entry, Lily’s life opens up in new, at times exasperating, ways and the adventures begin. Lily and Keisha both push the boundaries of what’s expected of them and venture out to new venues and new experiences, causing Lily to understand that things are not always what they seem. As Lily begins a deeper exploration into her spiritual life she is shocked to discover Keisha’s talents may extend beyond her garbage loving, squirrel-chasing pursuits. Join this pair on their journeys: external and internal, humorous and touching. Laugh with Keisha’s flagrant disregard for the law and social convention. Cry with Lily’s struggles. Dip into another level of love and connection and explore the non-spoken bond of soulmates. It doesn’t matter if you are a life-long dog lover, or someone who has never had a pet; this story will touch your heart because it speaks of the transcendent power of love to bring true joy into our lives–whether we happened to be born with two legs or four. Dr David Christopher Meenins finds himself haunted. Haunted and disturbed by his past. He needs to reconcile with that past in order to move forward to a new home world. 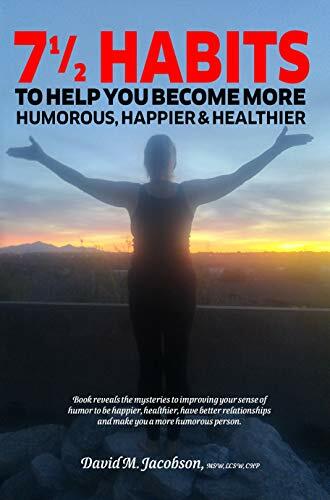 On the journey to self-discovery and a somewhat clean conscience, he is accompanied by mysterious Linda Deemer and the fabulous Lady Drasher among others. These people will all grow closer as the journey progresses. They will help the good Doctor unravels his past and come to terms with it. They will grow to become good friends and their friendship will lead to finding a new home, one that they will all revere. The relationship between the characters is especially heartwarming. It is a beautiful friendship between inherently different people. All with different patterns of thought but are similar in the quintessence of human nature. 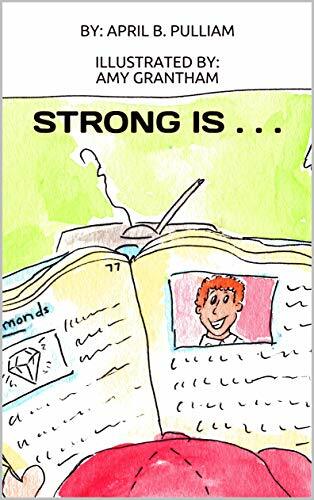 The characters are all loveable and relatable to the reader. Their warmth and personalities jump off the pages and wrap the reader in a halo of joy. Lady Drasher is a particularly outstanding character. Her strength and stance are inspiring and mesmerizing. The author has made the female characters into pillars. They are not merely damsels but strong women who rely on their own capabilities. Stella Atrium executes the plot with lustrous expertise and flair. Her writing flows effortlessly. She effectively captures the attention of the reader and keeps it hostage until the very end. The book is colored with intrigue, adventure, and a splash of humor. Maybe a dollop of romance on the side. The plot is quite original. For a fiction fantasy book, this story is quite enthralling. Weaving in fantasy worlds can be quite tricky and most probably doomed to fail but the author has handled it very well. Her portrayal of the characters in their natural (or unnatural) forms is impressive and masterful. This book is evidence of the vast level of creativity the author holds. Dr Meenins is a wonderful character. His disposition works to gain the allegiance of the reader. One will find themselves cheering him on as he escapes assassins and works hard at his mission. At the beginning, the reader will have a little trouble staying on track but that situation dissolves quickly. It may also be problematic to keep up with the characters. This does not influence the literary experience. The book still holds charm and just enough mystique to look past that issue. You will experience a cornucopia of emotions with this book. This is not the book you idle about with by the pool. It is a book you take seriously. A book you read intentionally and with fervor. The author will display exactly how deep her well of vocabulary runs. Either you can enjoy that or let it daunt you. If you choose the former, a scintillating experience is in store. There is nothing like it. Take the trip with Dr Chris.